Authorities in Egypt have declared they will sentence anyone who posts this symbol on their Facebook page to five years in prison, according to Arabcrunch and Shorouk News. Egyptian athletes expected to compete in the Olympics are also banned from flashing the four-fingered symbol, according to the country's sports minister. 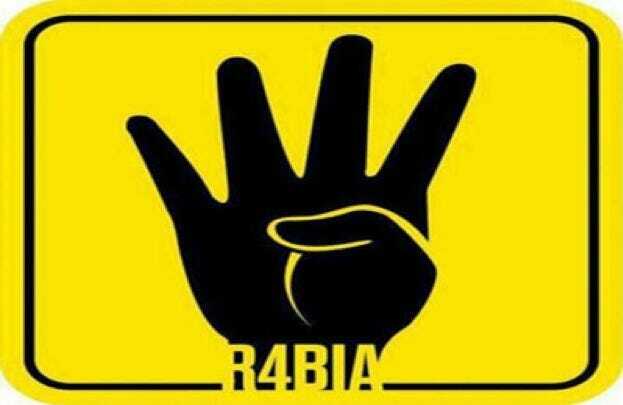 The "Rabia" or "R4bia" symbol is a reference to the deaths of Muslim protestors in Rabia al-Adawiya Square. It is a symbol of support for the now-outlawed Muslim Brotherhood. Rabia means four or fourth in Arabic, and it sounds the same as the name of the mosque that became the center of pro-Muslim protests in 2012. Following the revolution that deposed former dictator Hosni Mubarak in 2011, the Muslim Brotherhood won a national election in 2012. However, incoming president Mohamed Morsi abrogated so much power to himself that the Egyptian military staged a coup in the summer of 2013. Since then, the Muslim Brotherhood has been banned in the country even though it won the last democratic vote there. According to a Google translated versions of Sharouk News, Egyptian police recently posted a warning on Facebook that anyone who posts the R4bia sign will be regarded as a terrorist who supports the Brotherhood, and could be subjected to five years in prison.